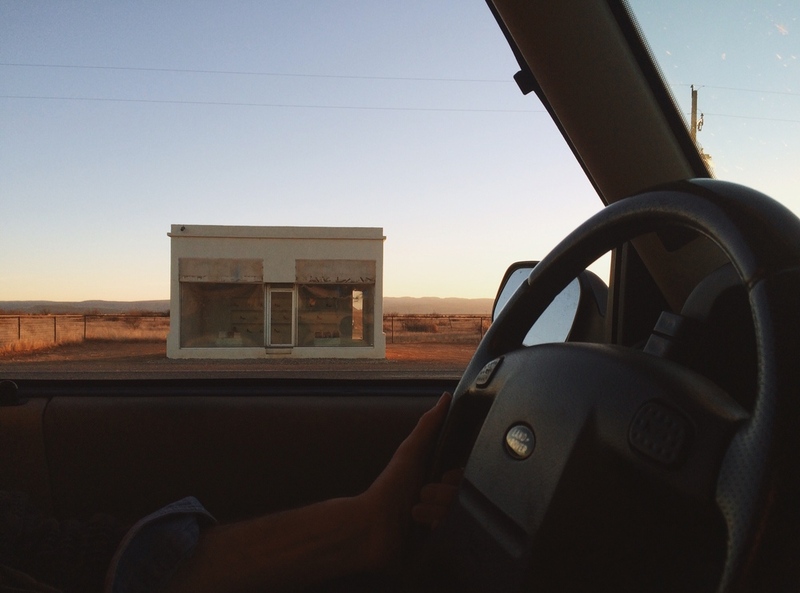 Those who want to get to Marfa - have to really want it. Located 8 hours from any major cities or airports, just north of the bend in the Rio Grande River in southwest Texas you’ll discover a remote hideaway for artists, adventure seekers, and spiritualists around the world. There is no short list of activities once in town, as Marfa is home to a globally acclaimed art collection, unique stores and galleries, and an array of fine dining options. Founded as a ranching town in the early 1880’s, Marfa has transformed into a hub for contemporary and modern artists. Inspired by the move of modernist Donald Judd in the late 1980s, the growth of the art scene in Marfa has continued to expand today. The Chinati Foundation, which now houses many of the works of Judd in two previous US military war hangers, showcases his vast collection of works in concrete and steel. Tours are by appointment only, and not to be missed. To get your day going, head over to the Marfa Book Company on South Dean street. Housed in an unassuming adobe building, this trading post of literary and caffeinated stimulation is full of must-have art books, photography collections, limited prints and coffee table selections. Sidle through a side door to the freshly-opened Do Your Thing coffee house and sample a horchata latte while you browse the local papers. Complete your rounds nabbing a quick snack across the street at The Get Go, Marfa’s small-town grocery store with a well curated assortment of big city gourmet goods. Get your art on with visits to The Wrong Store, a church converted into gallery for local woodcarving artist Buck Johnston (think giant golden carved security cameras and solid wood stacks of hundred dollar bills), and Mirth - a smartly merchandised atelier of well-designed tools for everyday life. The ultimate souvenir for your adventure is a genuine hunk of geological splendor - found at Moonlight Gemstones on 1001 W San Antonio St. Paul Graybeal has converted a tiny bungalow and adjacent yard into a magnificent collection of rare gems & quartz, specializing in West Texas Agates. Rocks are sold by the pound - reasonably priced for any budget. Kick off your dusty boots and stay for a night at the Hotel Thunderbird, the Marfa outpost of Texas hotelier Liz Lambert - known for her stylish spots Hotel San Jose and the Saint Cecilia in Austin. Rooms are done up in stylish desert minimalism, with comfy beds and thoughtful details throughout. Local watering hole Padres hosts live music acts in a true Texas dance hall style - talent comes in from all over the state and it’s often a stopping point for even bigger acts heading across the country. Check the schedule and definitely grab a margarita or two while you’re at it. Home to performers, visual artists, and designers, the town is buzzing with a palpable creative energy that will stay with you - way after that sunburn has faded.